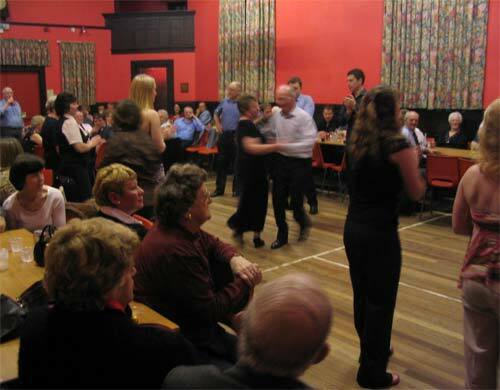 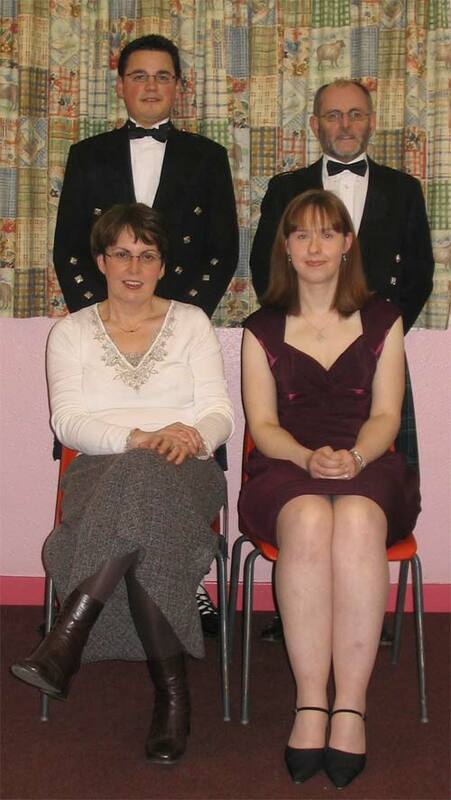 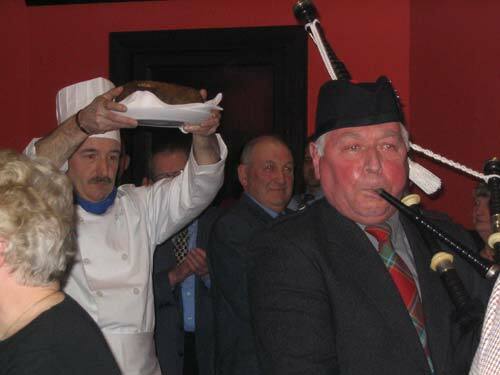 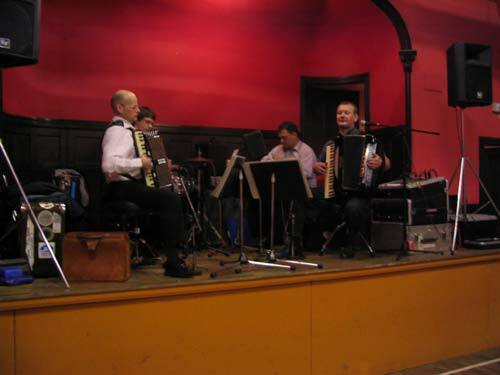 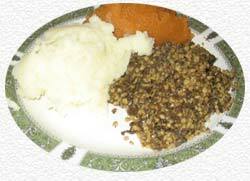 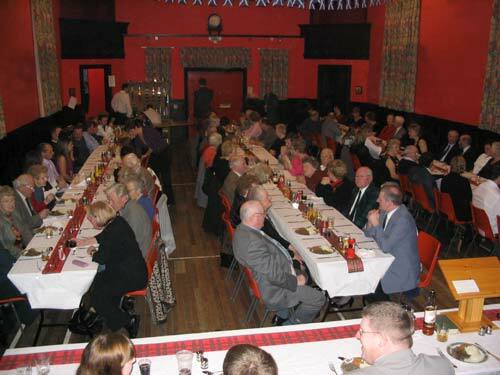 The Burns Supper is a joint effort by The Rannes Hall Committee and The Kennethmont Senior Citizens Committee. 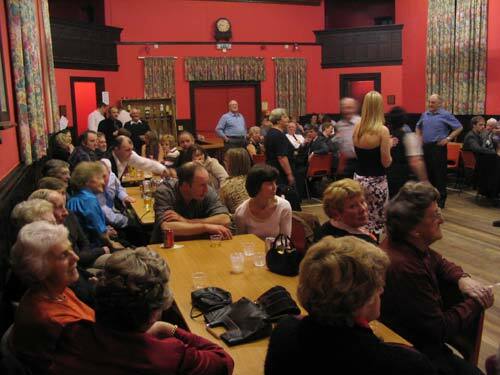 It is held in The Rannes Hall. 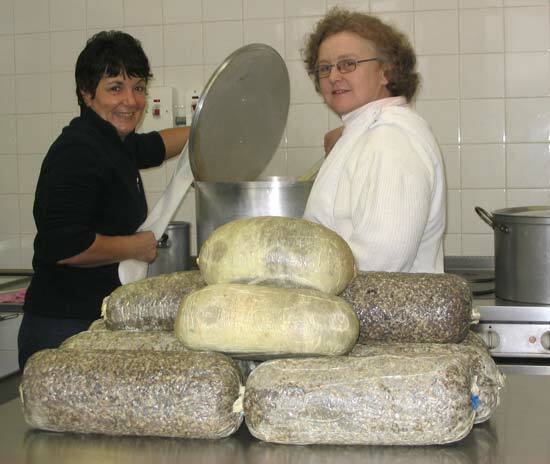 Cooks Wilma Grant and Brenda MacDonald preparing the meal in the kitchen. 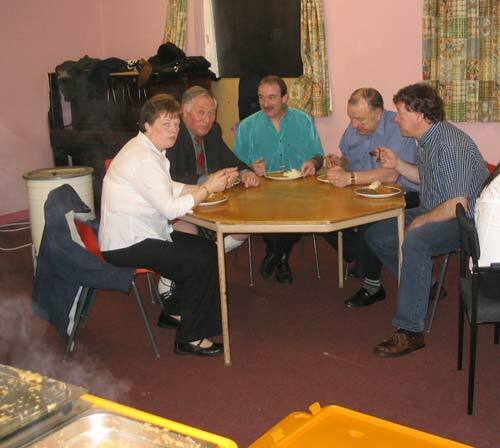 Chairman John McCallum, centre, chaired the evening. 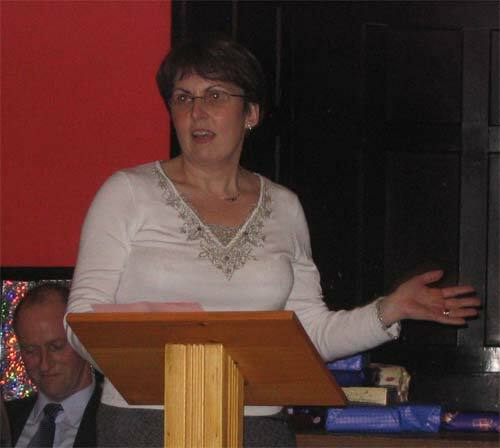 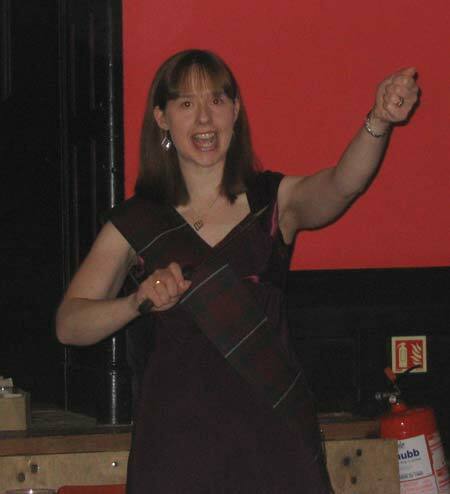 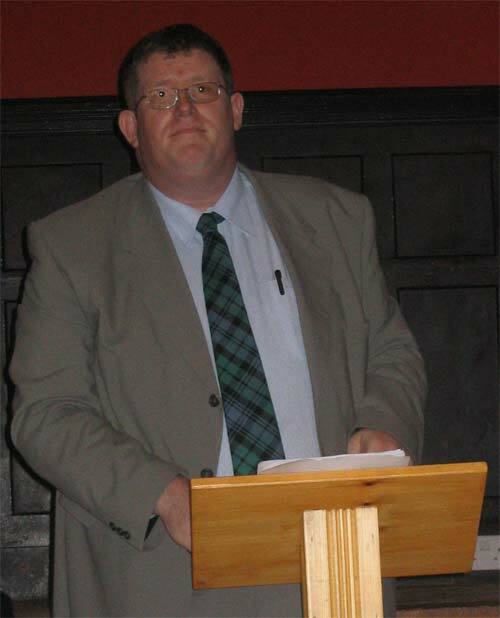 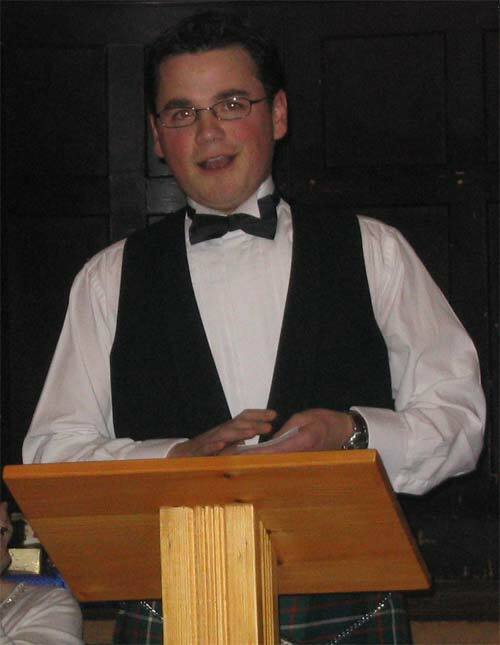 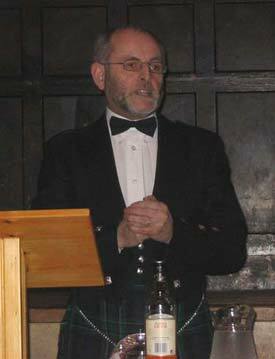 Alex Fleming, Inverurie proposed the toast to the Immortal Memory of Rabbie Burns. 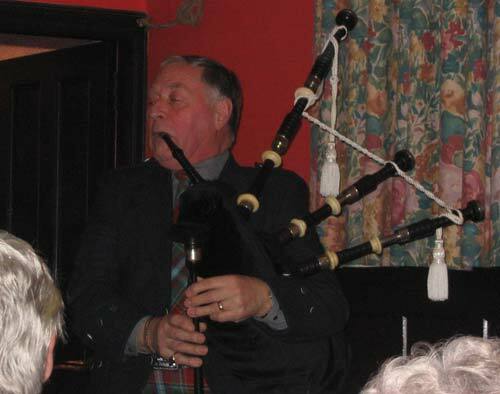 Clarence played a selection of tunes between the speeches. 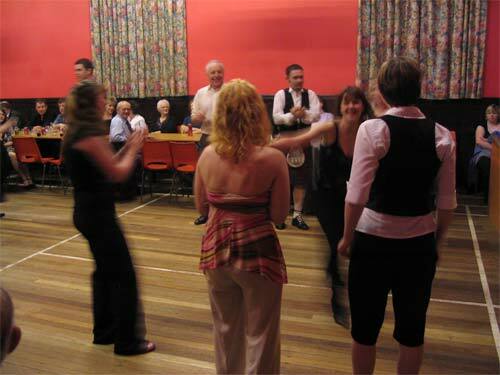 Pat Scott, Drumblade replied in behalf of the Lasses. 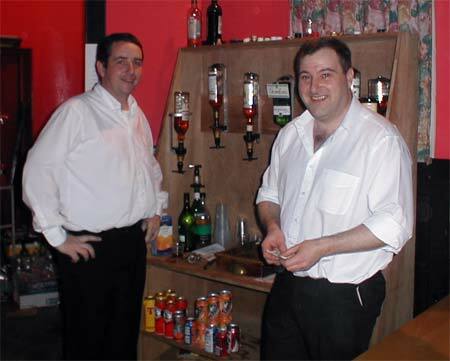 When this photo was taken immediately after coffee in the back hall, Joe Watson had already slipped away into the night unnoticed. 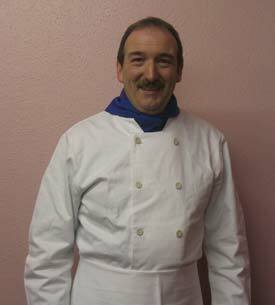 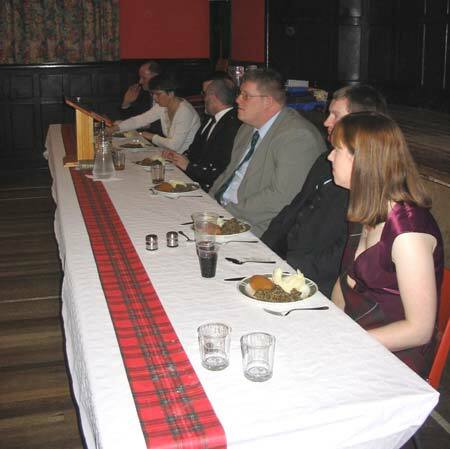 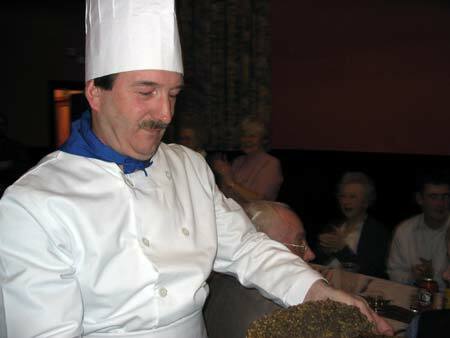 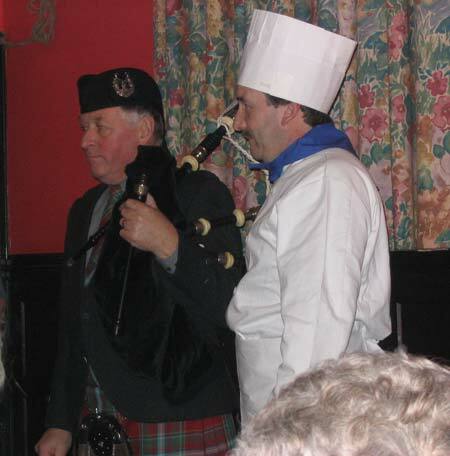 The Burns Supper could not be a success without the help of those working behind the scenes who dined in the back hall.